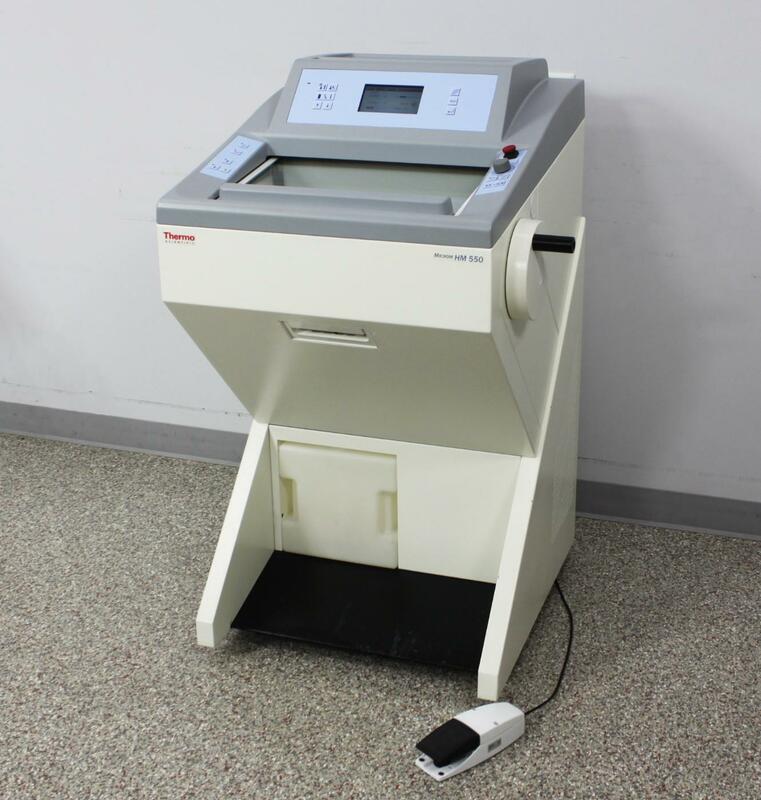 Thermo Scientific Microm HM 550 HM550 MP Cryostat Microtome w/ Blade Holder . New Life Scientific, Inc.
chamber cooling and verified customizable sectioning, our HM 550 offers like-new performance at a steep discount. condition, both inside and out. You’ll feel like you’re buying a brand new microtome. Our HM 550 comes packaged with two Stryker blades, both of which are in excellent condition and come in wooden cases. The blades can be loaded onto the HM 550’s pre-installed permanent holder. micron mist, ensuring that the entire chamber is effectively cleaned.